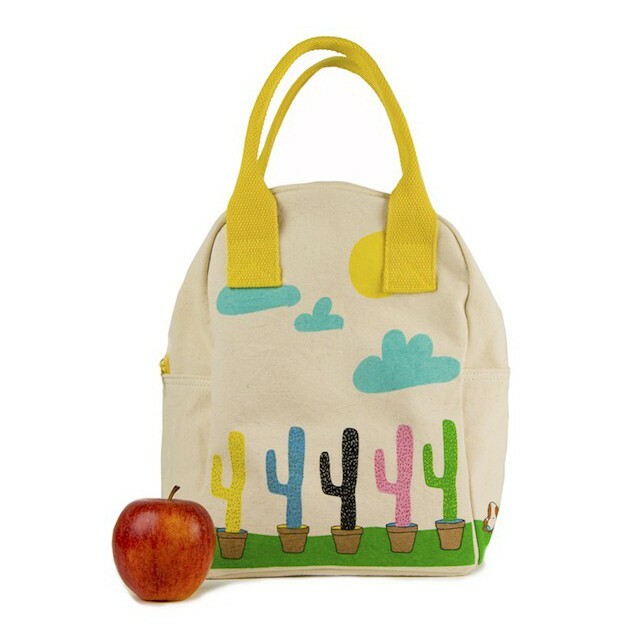 Children and adults alike will love this this zip-up, eco lunch bag with a prickly cactus design. 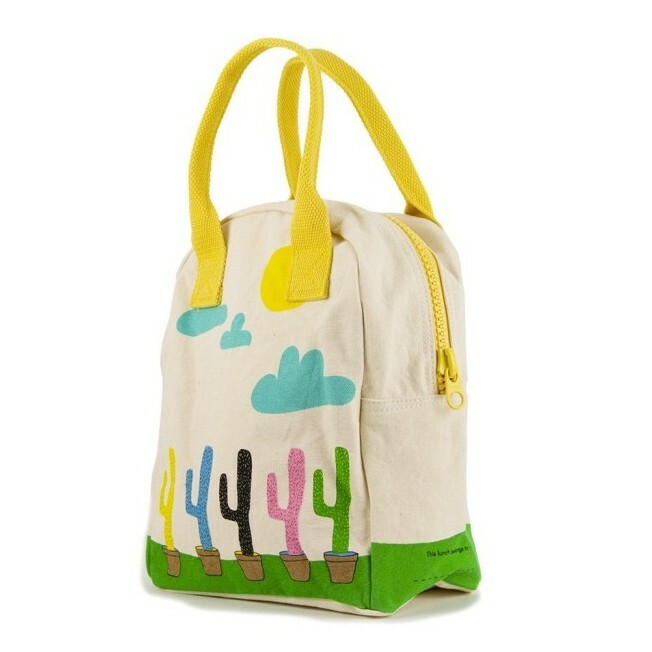 This lunch bag has been ethically made with an organic cotton outer featuring prints of blue clouds and cacti plants on the side and a yellow wipe-clean, food-safe polyster inner. 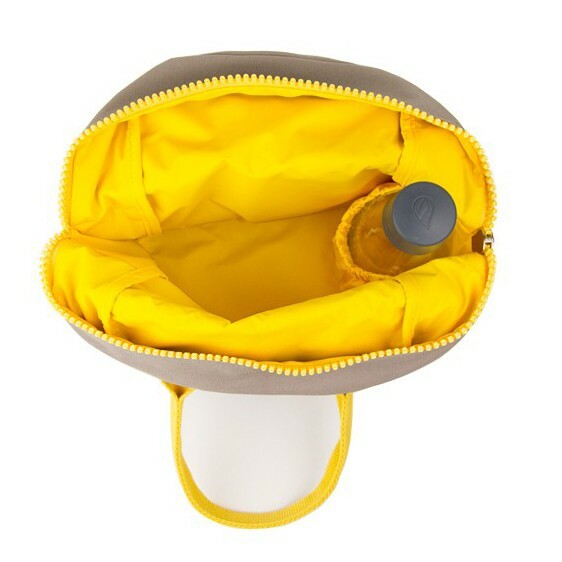 There's a pouch inside for securing drinks bottles - hurrah, no more squashed sandwiches or bananas! Yellow straps and a sturdy zip co-ordinate with the lining and there's plenty of room inside for a tasty lunch, snacks and a drink. Wipe it down inside after use and pop it into the washing machine when grubby, before line-drying. This reusable lunch bag is a fantastic alternative to single-use plastic bags and brittle lunch boxes that easily break. 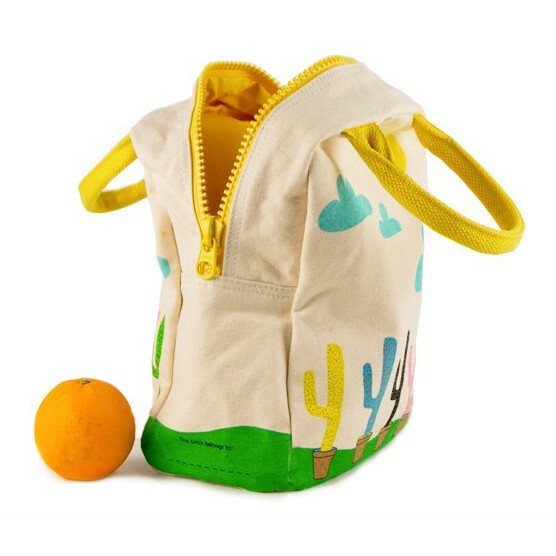 This GOTS organic cotton lunch box is ideal for school lunches, taking to work or for picnics and barbecues. Team up with a reusable drinks bottle, sandwich bag and snack bag for a tasty waste-free lunch on the go. This lunch bag measures 27cm x 20cm x 10cm. 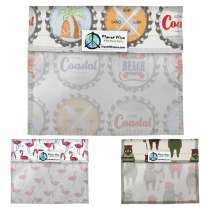 Fluf's fun and eco lunch bags, pencil cases and backpacks are perfect for school and the office too. 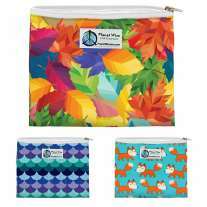 Their range of organic bags and accessories are ethically made and come in a range of cool designs that adults and children alike will love. 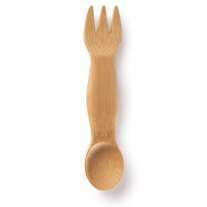 Ditch the disposables and make the world a Fluf-ier place to be with this new range at Babipur.